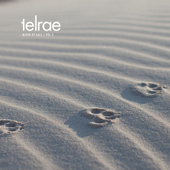 This is the third mix by Salz for Telrae. They are closing the cycle here to their very first mix they did in 2000 on their own label. The mix is by concept mixed and recorded and processed in the same way. This means, the single tracks were slightly changed, according to the personal taste and working habits. There are additional loops, edits and FX sounds which you cant find on the original sound files. Still the tracks are very much the same as they came out on vinyl. So you will find a Fleur De Sal on this mix! Enjoy.